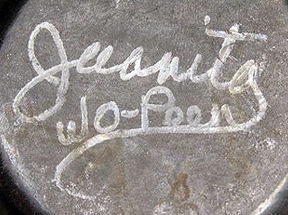 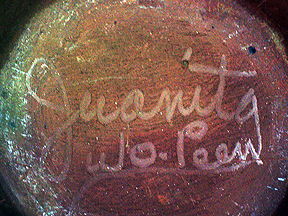 Juanita was originally from Taos Pueblo. 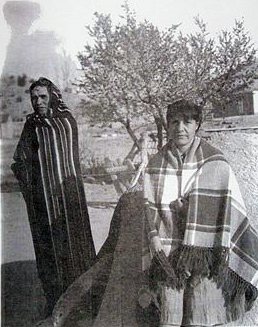 She met Louis “Wo-Peen” Gonzales of San Ildefonso Pueblo and married him in 1933. 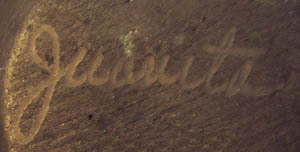 She moved to San Ildefonso at that time. 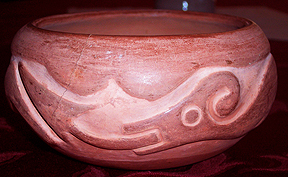 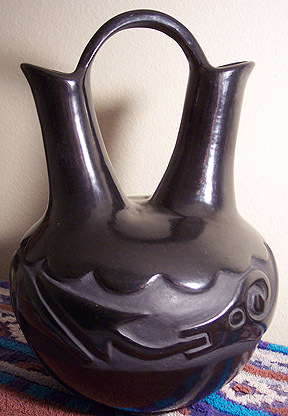 She learned pottery making from Rose Gonzales, thus it is expected that a large part of her production would be carved blackware.